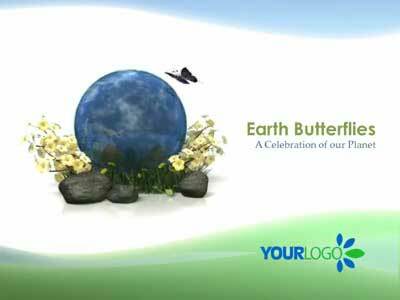 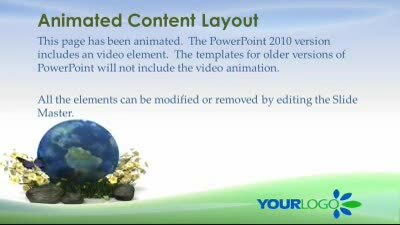 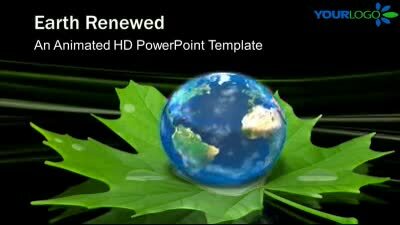 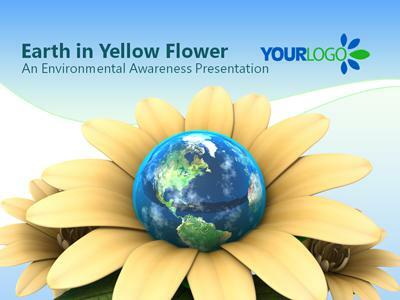 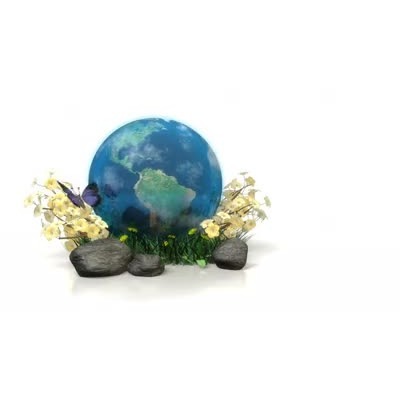 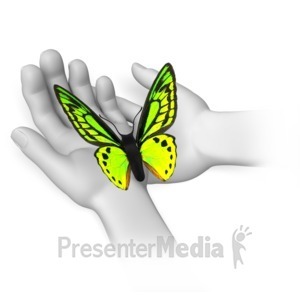 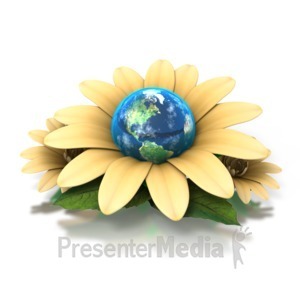 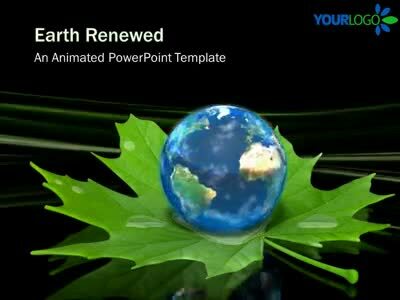 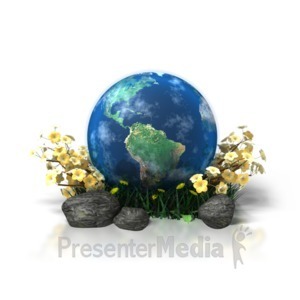 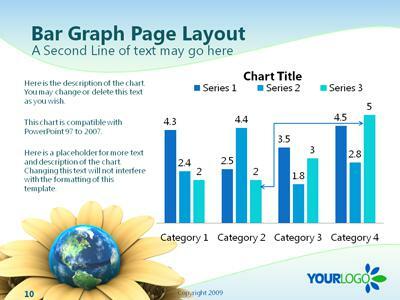 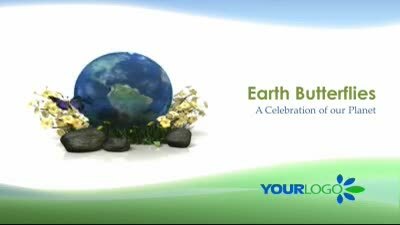 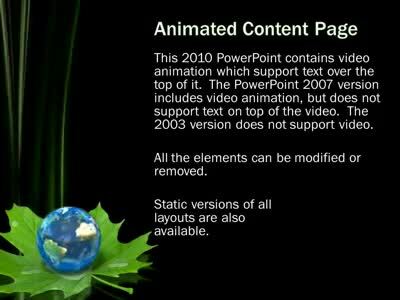 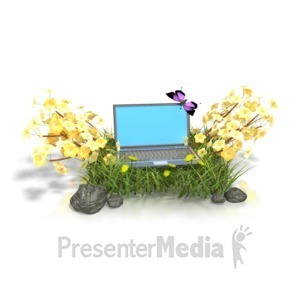 An animated widescreen template includes a looping video background of the Earth surrounded by flowers and a blue butterfly. 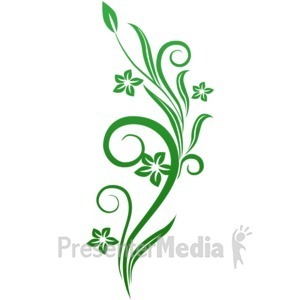 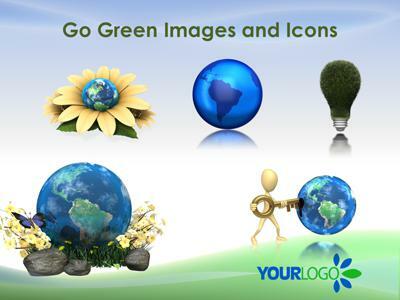 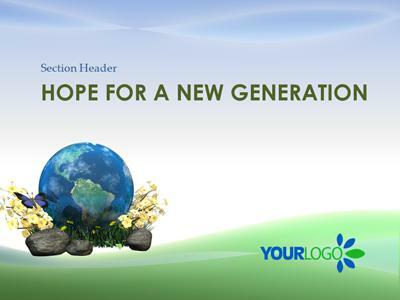 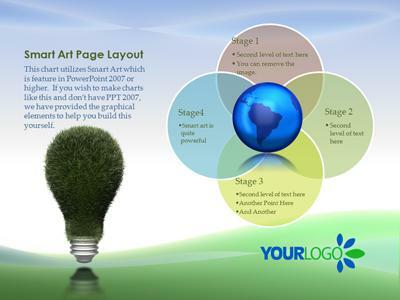 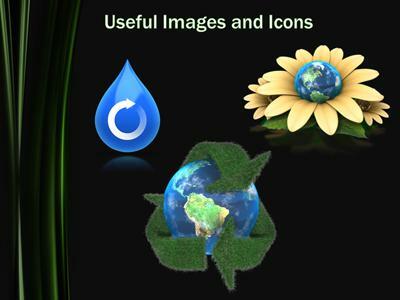 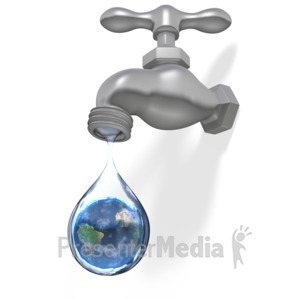 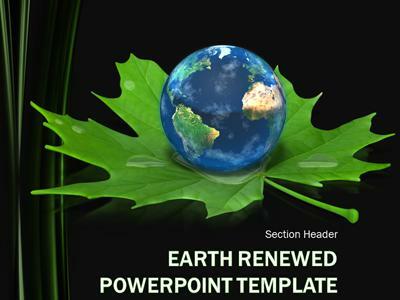 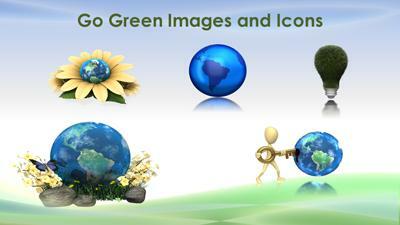 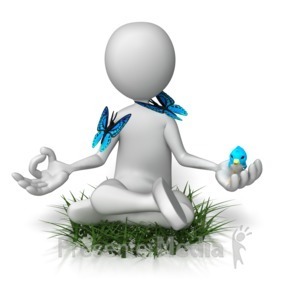 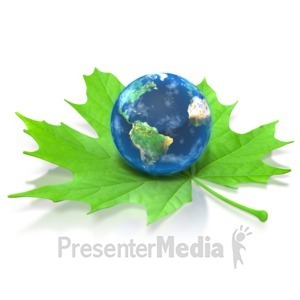 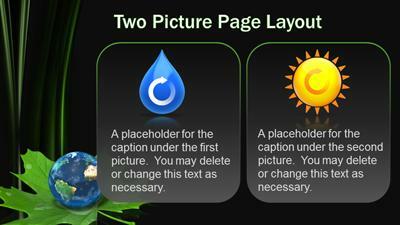 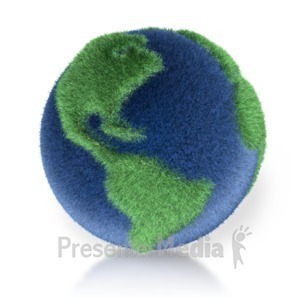 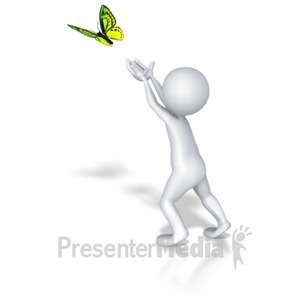 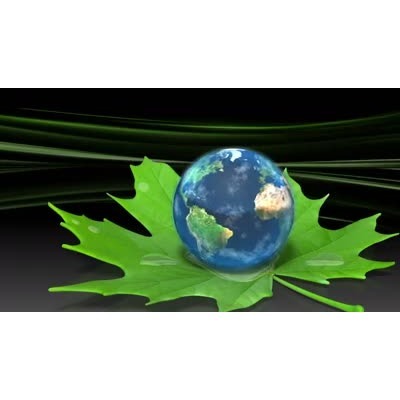 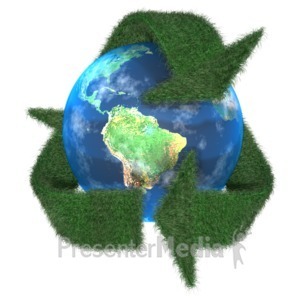 This is a template designed to be a Go Green or environmental awareness concept. 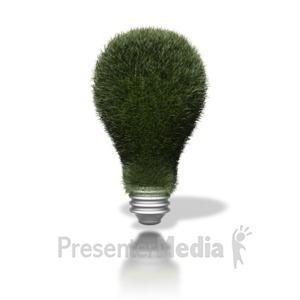 It would also be good for green power. 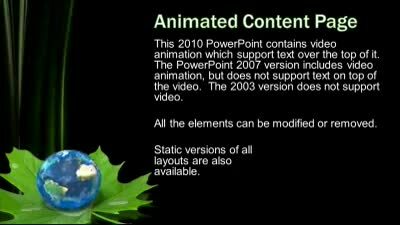 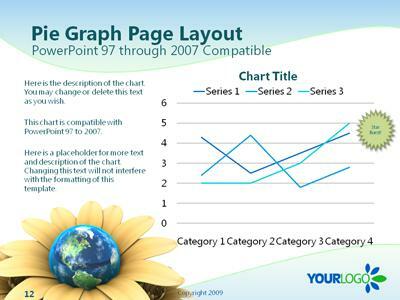 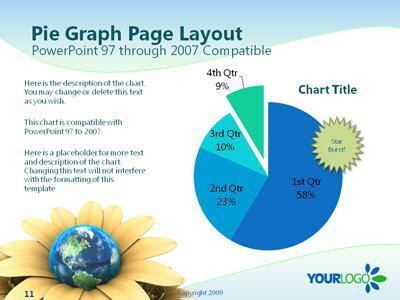 The video features of this template will only work in PowerPoint 2010.